Most of what I’ve written recently has been fiction. 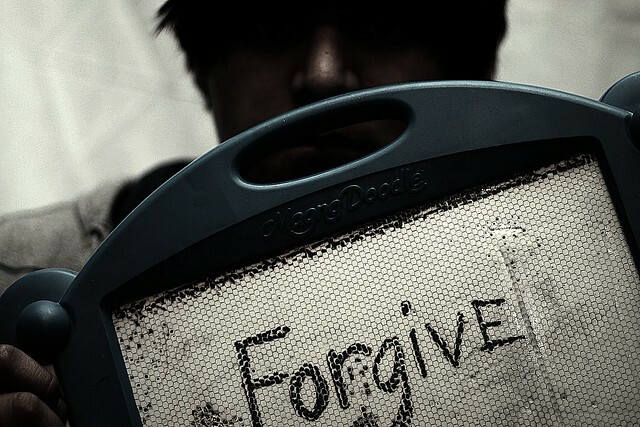 I may write a story or a scene from a story about this topic – forgiveness – as well. This post is more like a journal entry, a nonfiction post, about forgiveness. Have you ever felt that someone has wronged you? Really wronged you in a hurtful way? Being wronged in an intimate relationship may be one of the worst ways to be wronged, but it is certainly not the only bad way. Parents wrong children. Children wrong parents. The list goes on. This post veers more toward two people hurting each other in a love relationship and how to achieve foregiveness. I do not profess to be an expert but a neophyte. I’m only jotting down my thoughts. Some of us may find ourselves in a relationship that perhaps we shouldn’t be in. To make it more complex, maybe we should be in it but it isn’t ours to be in at that moment in time. We may love someone, but circumstances make the relationship complex, complicated, difficult, even impossible. No matter how much we want that relationship to work. Other people may be involved and in the line of fire to be hurt or damaged in some way because of this relationship. Relationships, as we all know, can be complex, convoluted, and involve more than just the two people involved. Because of the stress on relationships that are difficult and complex, those relationships will splinter and shatter at some point. Both people may agree to go their separate ways. One person in the relationship may decide, on their own, that they must end the relationship. The optimal thing to do, of course, is for the two people to sit down, talk, and bring an end to the relationship together. I am not saying that would be easy, but it’s the best way. But, people are complex creatures with highly charged emotions, particularly in love relationship. They have their own individual problems and idiosyncracies, complications in their lives, and individual ways of handling things. Not everyone is going to handle breakups of love relationships in the same way. Some people are non-confrontational by nature. Because of all these factors and others, someone is bound to get hurt when a love relationship ends. Maybe even both people, even though one is doing the ending. So what happens next? Usually anger, hurt, grief, sadness, even the desire for revenge in some cases, though not necessarily in that order. How do you make your way toward forgiveness? Can that even happen? As I said earlier in this treatise, I am a neophyte in this area, but I think it can. It depends on the people involved, of course. One thing I do know is that it takes time and thought. If you are the person who has been told that the love relationship is over, then you have to get past your anger in order to see things clearly. You have to try to put your hurt and sadness aside long enough to think logically about what happened and why it may have happened. You have to be honest with yourself. It may take some time. Remember back to the time when your relationship was good. If you trusted your partner then, you need to trust that former partner now. Quite probably, there was a good reason that they ended the relationship that may have little to do with you. It may have more to do with the circumstances of the relationship and their life. Your former partner may not have done a perfect job of ending the relationship. In fact, that is almost certainly true. But, they did what they had to do and hoped you would trust them and understand. If you can see this, you are at the beginning of forgiveness. Only the beginning, but you have taken the first step. If you can draw on the trust you had for your partner when you were together, it will help you take this first step. It doesn’t mean your hurt or sadness or grief will just go away. Of course, they won’t. The bad feelings you have about the relationships may start to lessen, however. You may start to see things from your former partner’s point of view. If you are a vengeful person, you need to let go of any feelings of revenge. I, personally, am not a person who seeks revenge so I have a hard time relating to it. I tend to beat myself up instead. Revenge will hurt you far more than the person upon who you are seeking revenge. If you need to remove the person who hurt you from your thoughts, forgiveness will help you do this. As for me, I want to forgive but keep the person in my thoughts. I’ve taken the first step. We had thousands of wonderful times together during our lives. I want to remember all those times without scarring them with the hurt of the end of the relationship. Yes, this part is a challenge. I’ll be writing more on this topic. It’s cathartic for me and I hope a help to some of you. Excellent blog. Please share more on this topic, as it may impact thousands of your readers. Thank you very much. I appreciate your reading my posts and your support!